In episode 20, we’re back to discussing a specific practitioner’s journey, the changes she/he made, and the lessons learned along the way. 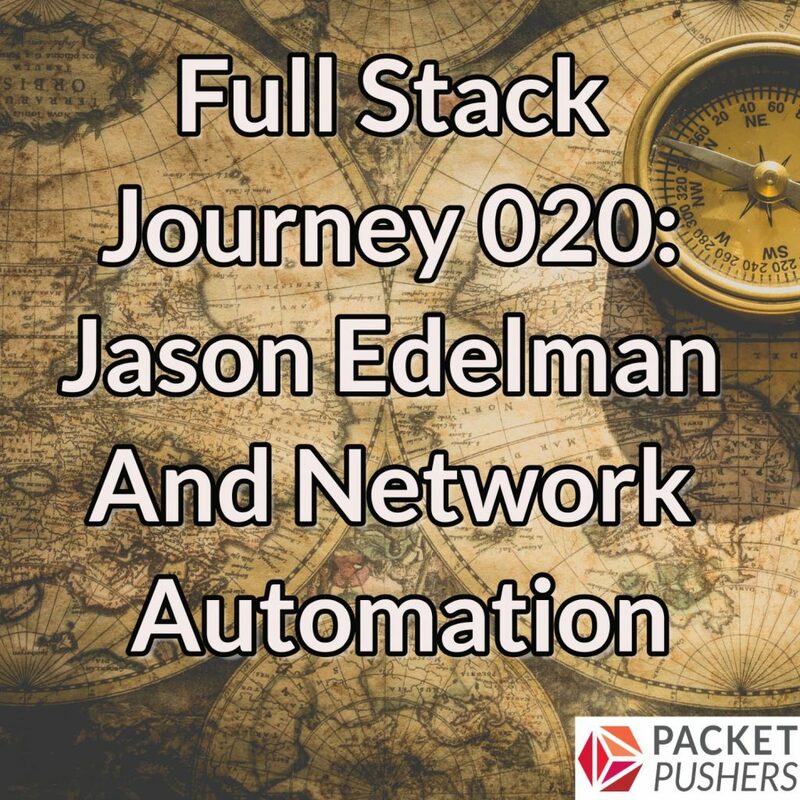 My guest for this episode is Jason Edelman, founder of Network to Code and co-author of the recently-released O’Reilly book titled Network Programmability and Automation. Jason also blogs at http://jedelman.com. What prompted Jason’s transformation from a “traditional” network engineer to someone more focused on network automation? How does one start learning programming and development skills? What are some tools/languages for beginners? Are there “easier” or “safer” forms of network automation for folks who are just getting started? What trends are emerging in network automation?